My girls and I have recently been listening to the new album by Australian artist Matthew Braithwaite. It’s always great to support Australian talent, and Matthew’s new CD ‘I Have a Go’ is great for toddlers and preschoolers. We have been listening and dancing around to it for weeks now and it’s definitely a hit in our household. One of the favourite songs in our house was the ‘Jump!’ song, which my girls would jump and dance around the house to. It’s a great CD to put on to let your kids bounce around and burn off extra energy and is handy to keep in the car too! 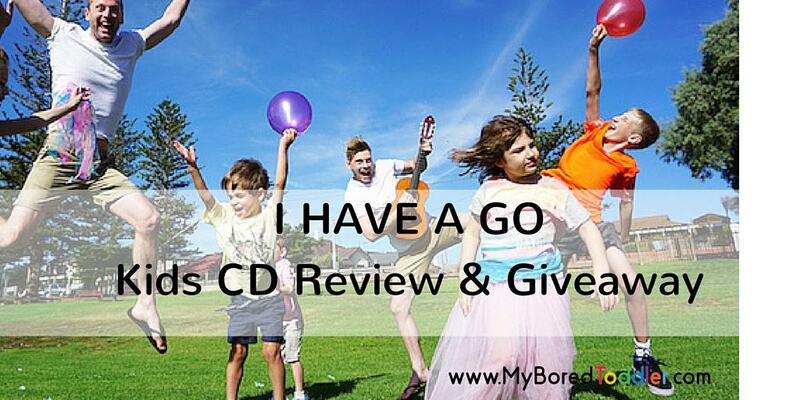 Matthew has kindly offered to giveaway a copy of the new CD to 3 of our readers. If you would like to enter, please tell us in 25 words or less why you would like to win and enter below. It’s hard to find things to keep my two-year-old entertained. This sounds like a winner. Music is the best enrichment activity for children…… pure delight. Music makes my child so happy and I love seeing a big grin on his face. To show my children that with the help of music, whatever your wishes, dreams and desires are, they can be achieved! I am pregnant and I want to start playing music to my baby before she is born…music is so important to little ears! I need a break from the wiggles! Music has always played a big part in our family, so having another cd to add to the collection would be fantastic. We use dancing around as a fun way to get exercise, and love singing along into our ‘microphone’ hairbrush. Reminds me of my childhood. This CD will have us all up dancing and singing and creating perfect quality time. My toddler LOVES to practice her “ballet”. Some new music will be much appreciated! My daughter just adores dancing and I think we will love the ‘jump’ song. Oh I just Love the words to Thumpalina!! What a fun positive way to teach our kids valuable life lessons!! Music makes the world go round and makes all of us happy!